Winterfest began in 1998 as a single-day event, expanding each year to its current format, now covering three days of spectacular winter programming in January. 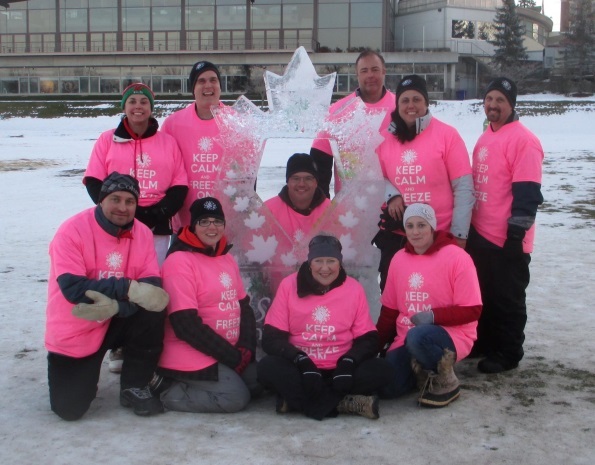 This year’s theme, “Keep Calm and Freeze On” will include many activities and events from past years, as well as new and exciting shows and events. Planning for Stratford Winterfest spans a ten month period, and involves over a dozen passionate volunteers. This year’s Winterfest has been funded in part through the generous financial support of the City of Stratford. Contributing $15,000.00 to the project, the City’s gift is conditional on matching funds from the community, and we are pleased to report that this year, Winterfest has reached its goal!! To our many sponsors, volunteers and participants, thank you for your support. It is our hope that you enjoy the festivities as much as we have had fun planning them.